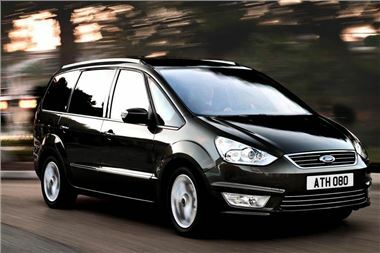 BRENTWOOD, Essex, 21 March, 2011 – Europe’s largest private hire firm, Addison Lee, has taken delivery of the first of the 1,200 Ford Galaxy Multi Purpose Vehicles which will join its fleet this year. It is the largest single-year order that Addison Lee has ever placed with Ford. By November the firm’s 2,500-strong minicab fleet will be 100 per cent Ford. The Galaxy models – all diesel, all automatic and, appropriately for Ford, all black – will be delivered at the rate of around 28 a week over the coming months. The firm has cut emissions per journey by more than 17 per cent since 2002 and is working on a further six per cent year-on-year reduction. The company is the only member of 190 businesses in the Green500 to achieve the highest ‘Diamond’ status for reducing carbon emissions and has won numerous awards for its programme to reduce its environmental impact. Addison Lee will be disposing of its 2007-2009 Galaxy 2.0TDCI automatics with the older 6-speed torque converter autobox from June 2011 at its disposals centre, corner of Hampstead Road and Granby Terrace, just South of Greater London House, London, tel 0207 3889799. These Galaxys are highly rated by their drivers. Addison Lee is London’s premium minicab service and also offers chauffeur services, international delivery services, couriers and executive coaches. Founded in Battersea in 1975, Addison Lee carries 10 million passengers a year and couriers more than 40,000 deliveries every month. Green500is one of a number of London Development Agency initiatives which aim to reduce London's CO2 emissions. The aim of Green500 is to enlist some of London’s largest and most prestigious organisations, and mentor them through their carbon reduction commitments.